Sometimes, you just need a good meal with some good friends. Last night, I did just that. 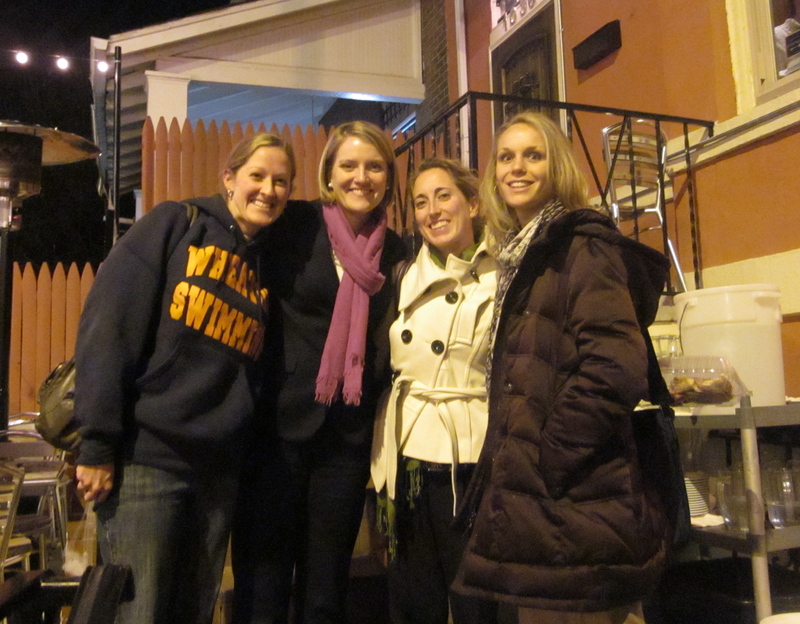 I went with a few of my closest girlfriends to Red Rocks in Columbia Heights for some good ol’ girl time. These are some of my favorite ladies in DC. I met them all through TFA and we’ve been friends throughout our time in DC. They’re smart, motivated, accomplished, hard working, and super fun. I needed some advice, and I knew they’d give me good perspective. They also like good food. 🙂 My kind of people. 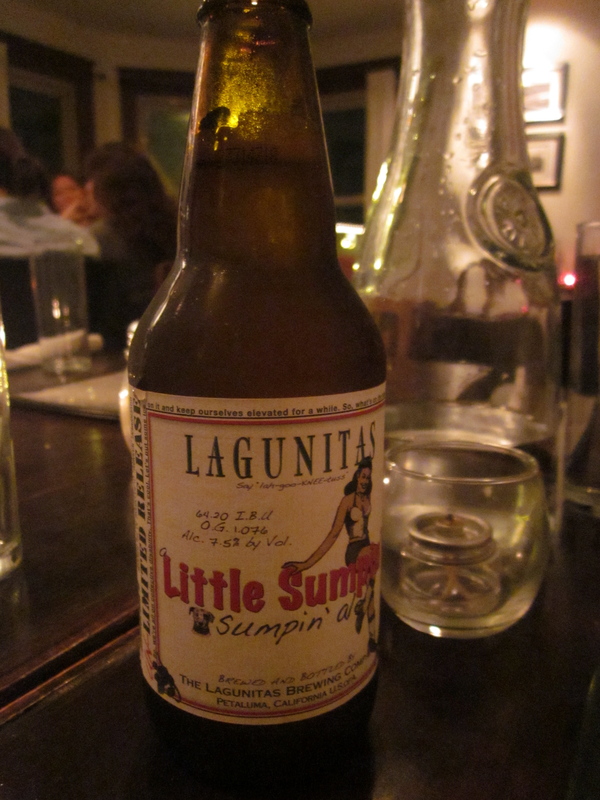 Red Rocks has a decent beer selection, so I started off with Lagunitas A Little Sumpin’ Sumpin’. Yum! We also ordered the asparagus wraps appetizer – Roasted asparagus and buffalo mozzarella wrapped with prosciutto. I was too busy yapping that I forgot to snap a photo! Whoops! I was expecting a few asparagus spears individually wrapped in prosciutto and cheese. Instead, the asparagus was bundled (maybe 5 skinny spears) and then wrapped. It was sliced into 1/2 inch pieces and served warm on a balsamic drizzle. They must have put it in the broiler, becuase the prosciutto was crispy, which I also wasn’t expecting, but it was so tasty! I would definitely order it again! 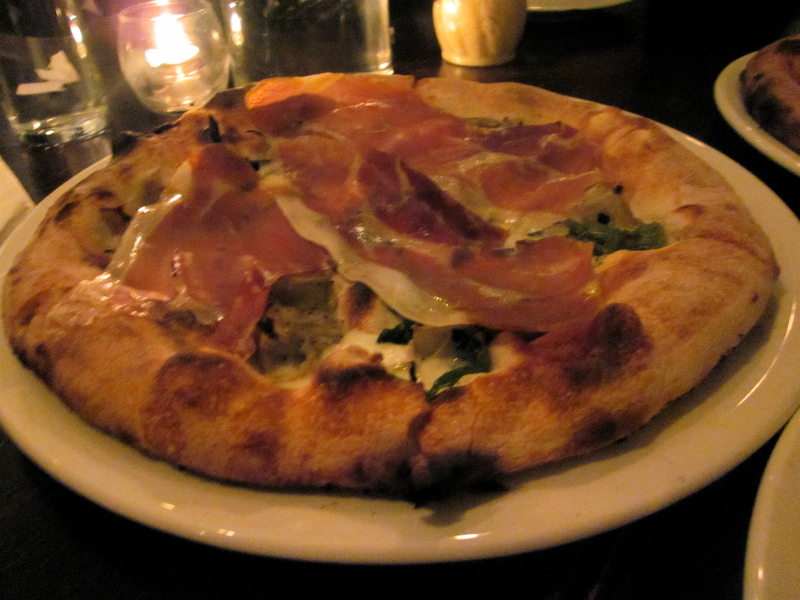 Artichoke pizza, topped with prosciutto. Goat cheese? Yes please. I have a slight obsession with that stuff, especially when it’s on pizza. So how was it? I thought these pizzas were DELICIOUS. I mean, look at the crust! Brown and crispy on the outside, and soft, pillowy dough inside. Ok, the pictures aren’t that great, but trust me, it was yummy. And though it was quite loud in the converted row house, I liked the vibe. I think Red Rocks could give 2 Amys a run for their money. I would highly recommend checking out Red Rocks for yourself! 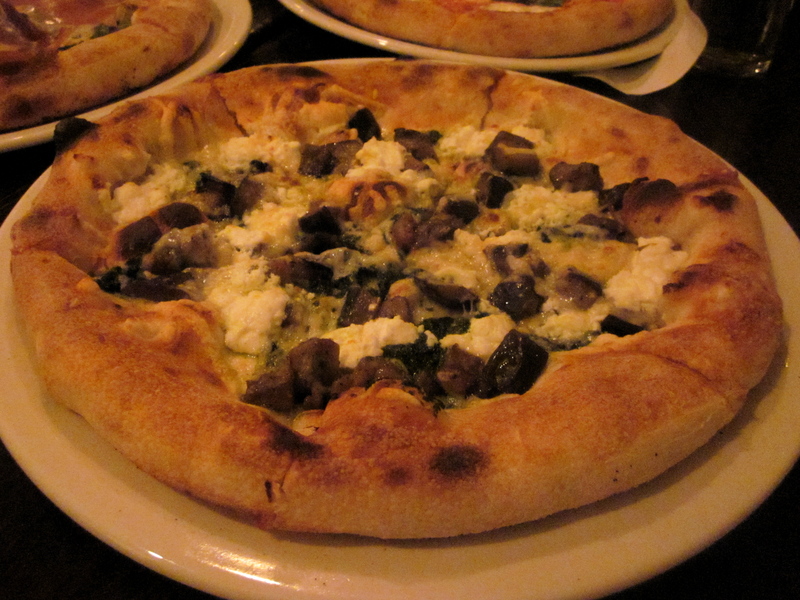 I kind of wish I had ordered the eggplant pizza to take with me to work tomorrow for lunch…oh well! Good food + good friends = one happy Steph. 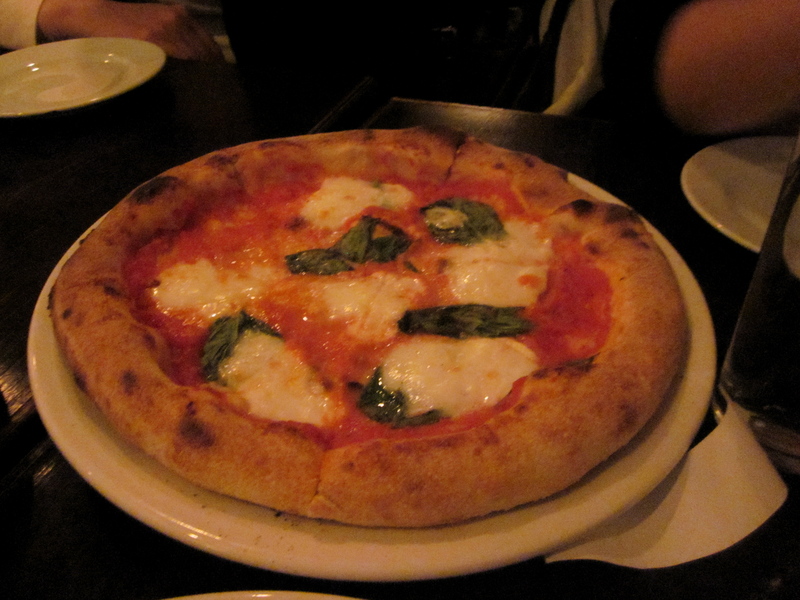 Question of the day: Which style of pizza do you like the best? Thin crust? Deep dish? Neapolitan? New York style? Some other style? And now I want pizza for dinner! These look so good. It was really yummy! We should go some time! Best pizza in D.C. Pepperoni is the old stand by. I wrote about the history of the building. Take a look.